Need a celebration cake in a hurry? Then look no further! 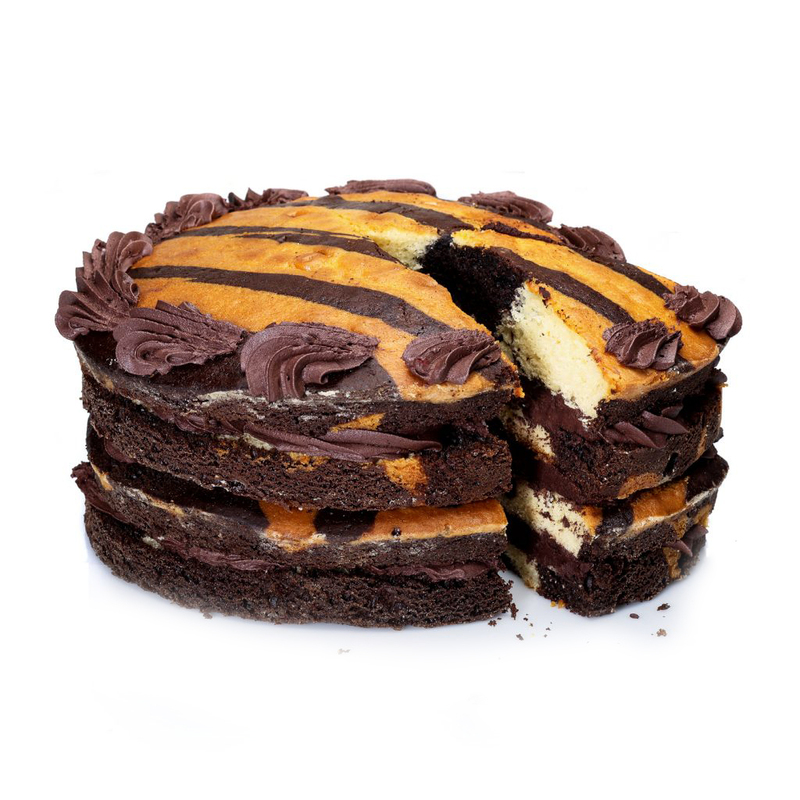 Our chocolate and vanilla Marble 10″ round layer cake is handmade and hand finished. We can write any message on top just let us know before 12pm and we will have it ready for you the same day.